By adding sauna aroma fragrance accessories to your bath, you’ll awaken one of the senses you may have not expected to use: your sense of smell. Some people simply enjoy adding fragrances to a steam bath to create a soothing environment; while others are interested in aromatherapy oils for their medicinal purposes and the way they can affect mood and health. Sauna fragrance accessories such as essential oils come in concentrated, hydrophobic liquid containing aroma compounds which come from plants. Aromatic herbs, spices, and fragrant flowers are the first thing you may think of - such as sage, birch, spearmint, and peppermint - but they also include concentrated extracts of various fruits, leaves, roots and woods. The essential oils are up to 100 times more concentrated in these essence molecules than in the dried plant. 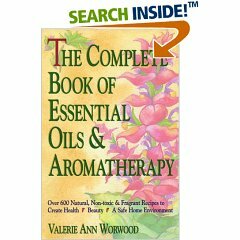 Aromatherapy oils are used in the psychological methods of mood mapping, as therapists believe there are health benefits to be gained from certain fragrances - hence the term “aromatherapy”. The use of aroma fragrance accessories in saunas through steam distillation brings the immune defense properties of plants to the human body. Essential oils are basically good for everything that ails you: they are known to be naturally antibiotic, antibacterial, antiseptic, anti-fungal, antioxidant, anti-parasitic, antiviral and antidepressant. The body can distinguish about 10,000 different scents but the most popular and most “feel good” medicinal ones are: Eucalyptus which is effective in treating coughing and scratchy throat; Lavender which helps you to sleep and soothes tired muscles; and Peppermint which relieves lung and sinus congestion. Sauna aroma fragrance accessories are sold in small bottles with droppers so it’s easy to use them. To add the aroma to your steam sauna, you simply place a few drops or a teaspoon of the oils into the bucket of water and when you pour a ladleful onto the hot stones, the fragrance is released with the steam. As a general rule of thumb, use three drops per person. If you own an infrared sauna (and therefore have no rocks or steam) you can still use essential oils for aroma therapy. Just add several drops to a spray bottle filled with water and then spray the surfaces of the sauna. Feel free to experiment with different sauna aroma fragrance accessories as there are no rules to a sauna bath. Whatever your reason for using oils, they can increase the sense of serenity and well-being during your sauna session.